Since you are aware of the information that Main Exam has successfully been conducted on 19th March of this year, we want to inform you that list of the candidates who are shortlisted in the Mains will be declared shortly via the GHC Civil Judges Result 2017 in the upcoming days and you will be informed about the same via this webpage. The Civil Judge is also called as CJ (a shortened form). People, who could participate in the test, are curious to know what the Gujarat High Court JC Cut Off Marks/ Merit List 2017 say about the marks one needs to obtain. So, contenders need to understand the requirements based on “Expected Marks to Obtain” and they should be aware of the latest news on “Merit List” and the final selection. Seek full details on selection via gujarathighcourt.nic.in. Earlier, a publication for the vacant posts of Civil Judges (CJ) was published via the Official Portal and it was about filling up total or about 112 posts of CJ. When the notification got out, the people who have been trying to seek jobs in GHC quickly applied before doing any delay as they knew that the server of the portal gets busy in the last days of application submission. Apparently, the selection process is based on Preliminary, Main, Viva-Voce Test (Interview), and Final Result. We know that now (at the time of writing this article i.e. 20th March 2017) only 2 tests have been conducted and they are Prelims (conducted on 10th February) and Mains (held on 19th March 2017), however, the Interview is yet to be carried out as per the schedule. You must not take this round lightly, and to be concise, no round is ever easy as all it takes if your hard work. The department is analysing the performance of all appeared contestants in the exam. Only your performance will save you and make your day when it comes to passing the exam in a successful manner. So, how are you feeling after taking the CJ exam on 19th March? Are you feeling hopeless or some sort of nervous? Well, what it was, you cannot change it and you have to take the results for granted however there might be some sort of options for to submit your objections/queries to the authority regarding the questions that you thought were right and turned out to be wrong. 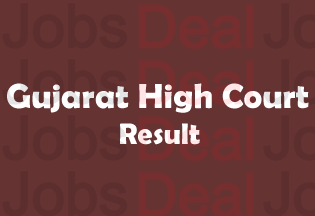 Are you having a question in your mind saying “Will I be asked to enter some credentials while collecting Gujarat High Court Civil Judge Result 2017?” Well, the result of Pre was published in a PDF file format and so the scorecard/ marks or Mains may also be possible in PDF. But, we advise you to get all details ready when you check your results online. Now, it is time to let you know about the minimum requirements to go to the next level, which is Viva-Voce (Oral Test). The candidates who belong to the categories called as ST or SC are meant to score at least 45% marks in Mains, while candidates from other categories have to obtain minimum 50% marks. The details of the marks you will need to obtain in Viva-Voce will be mentioned here later. We know think that you now know about Gujarat Civil Judge Exam Cut Off Marks/ Merit List 2017. But, please note that the cut off we have discussed above is just an expected one and the final decision is only reserved by the authority and it is seen in the final result which will come out in the month of May tentatively. So, as long as it does not come out, make your comfortable on this page. If you have any concern while accessing the results, you can straightforwardly ask our team on the same, we will be happy to help. In the first step, what you need to do is follow the Official Website at gujarathighcourt.nic.in. Then, grab the latest notifications and click on the result link. There, you will see your exam link i.e. Civil Judge Result. Click on it and it will either open in PDF or you will be asked to enter some details in Login Page. Do whatever is given at the time and submit the data. Finally, you can access the name of the shortlisted candidates via GHC Civil Judges Result 2017 for the next round that is Viva-Voce and others (if any). Stay connected with us for having more details regarding it.